Hi, Connie here with a fun Easter Egg Card tutorial using the border strip papers from several collections by Quick Quotes. 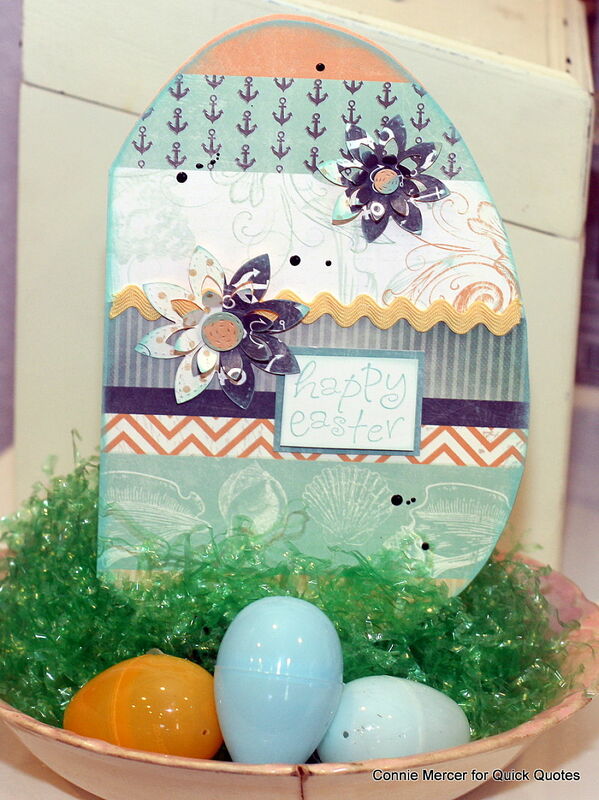 I used Whistlin' Dixie 100 and Anchors Aweigh 101 to make these cards. All you need to know is how to draw a large egg shape. So easy even the little peeps can do this. You will need a 12" X 12" sheet of border strip pattern paper. Quick Quotes has several to choose from. Fold the pattern paper in half, long ways, making the paper 6" X 12". 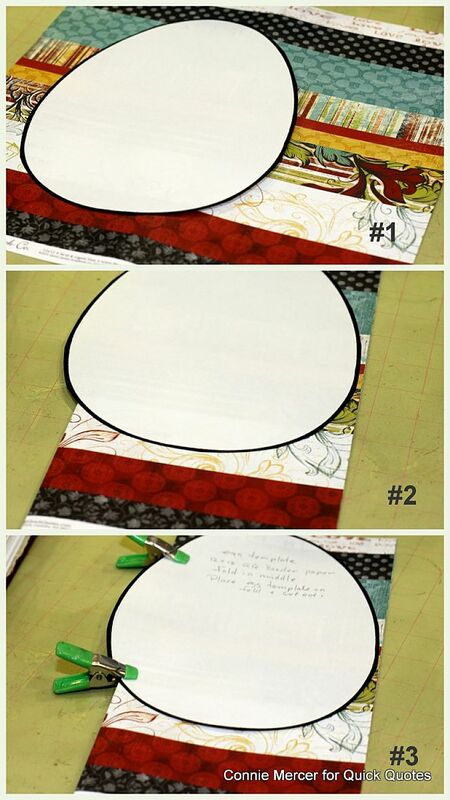 Draw the egg shape on white copy paper and cut it out. Lay it about a 1/2" over the fold of the pattern paper. Clip the egg pattern to the pattern paper and cut it out. You will have an egg shape card that opens. Decorate the front. Use Quick Quotes PowderPuff Chalk Inks to shade the edges of the card. 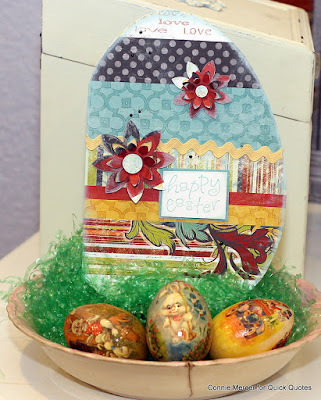 So fun to make and will look super cute in an Easter Basket!